This week is Book Blogger Appreciation Week in which we celebrate all things books. I have discovered so many different books that I probably would have never read otherwise through the book blogging community. It's also created some wonderful connections not only with book bloggers, but also with writers and publishers. The theme is Cultivating a Community of Bloggers and Readers. There will be all kinds of giveaways and contests, guest posts by authors, publishers and bloggers. Come join in on the party. You may just win some awesome books and establish some new friendships. Monday, September 12 - Community: It is the opportuntity to highlight those bloggers who have made book blogging a unique experience. Mentors, bloggers who have encouraged you to try a different kind of book, opened your eyes to a new issue, made you laugh or supported you with comments on your blog. Tuesday, September 13th: Blogger Interviews: An interview swap between bloggers and a chance to get to know them better. I swapped with Brianna of The Book Vixen who took over "The Novel Challenge blog" with the help of a few other bloggers when Wendy decided to move on to other things. Be sure to check out her interview on My Two Blessings and my interview on her site. Wednesday, September 14th: Community Part II: A day to share tips for connecting with the community. Thursday, September 15: Readers: Book bloggers blog because we love reading. Has book blogging changed the way you read? Have you discovered books you never would have apart from book blogging? How has book blogging affected your book acquisition habits? Have you made new connections with other readers because of book blogging? Choose any one of these topics and share your thoughts today! Friday September 16th: Blogging: The world of blogging is continually changing. Share 3 things you are essential tried and true practices for every blogger and 1-3 new trends or tools you’ve adapted recently or would like to in the future. Link to your most current read. Please link to your specific book review post and not your general blog link. In the Your Name field, type in your name and the name of the book in parenthesis. In the Your URL field leave a link to your specific post. If you have multiple reviews, then type in (multi) after your name and link to your general blog url. If you don't have a blog, tell us about the books you are reading in the comment section of this post. 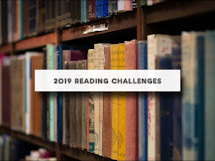 I think your challenge contributes a lot to the community of book blogging. It is the hardest challenge I've ever done. When I started I thought it would be a piece of cake. But it is really hard making sure I read a book a week. Thanks for the challenge.